Welcome to the library research guide for your Strikes project. Please use these resources for your project: they are authoritative, which means they are written and edited by experts. We have just finished learning about the history of Labor Day in the United States. One of the original reasons behind the creation of a holiday for workers was to bring awareness to workers’ rights. Unions were critical in accomplishing this. Although Labor Day is no longer a time to put workers’ issues in the spotlight, the importance of unions has not diminished. They continue to exist and to be an essential source of support for workers’ rights. *****Feel free to research a current strike in your native country. 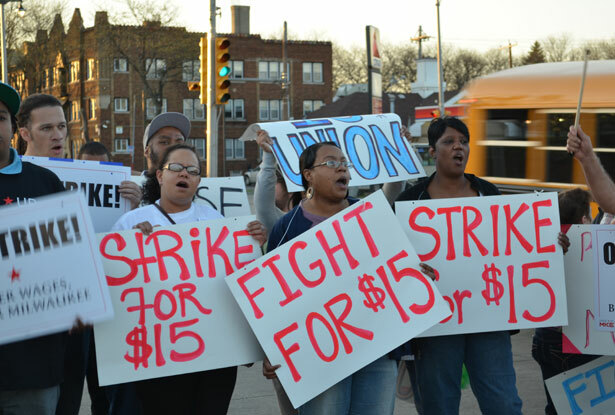 Which union represents the workers who went on strike? Why did the workers strike? When did they strike? Where did they strike? What were the workers’ demands? What was the result of the strike? What changes were made to the working conditions? You must follow research protocol by keeping track of your sources, taking notes and by paraphrasing the information you found. You must use at least two NON-INTERNET SOURCES. Once you have found a strike, you must o.k. it with us. In other words, we need to approve it first because we do not want everyone researching the same strike. After your research is complete, you will write several paragraphs about the specific strike. YOU WILL ALSO PRESENT THE INFORMATION TO THE CLASS. New York Times (High School) Description of this database. Research in Context (High School) Description of this database. Noodletools is an excellent tool for organizing notes and creating citations.